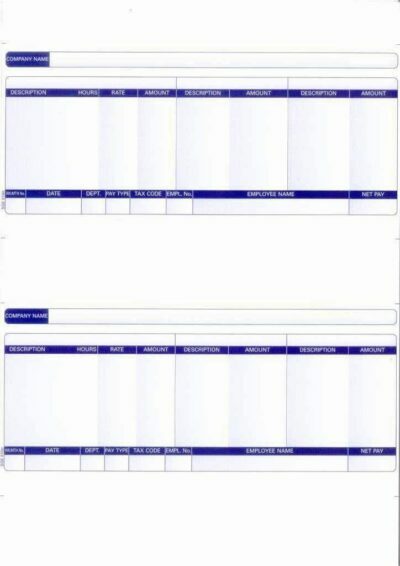 SAGE PAYSLIPS – (2 PER PAGE). 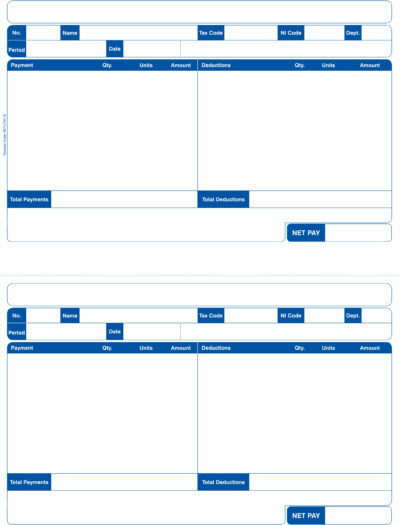 SLPAY1 – Compatible Sage payslips suitable for laser and inkjet printers (blue). Also available in green. 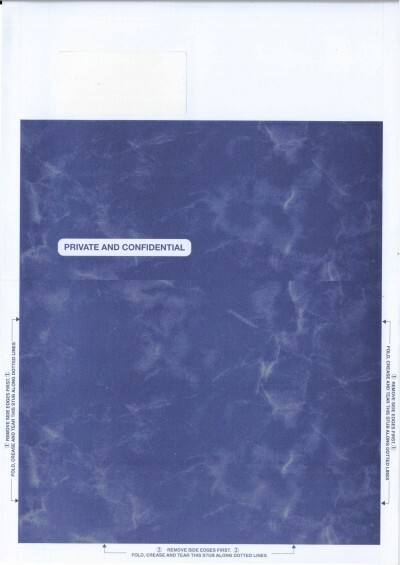 A4 size sheet – 210 x 297mm. 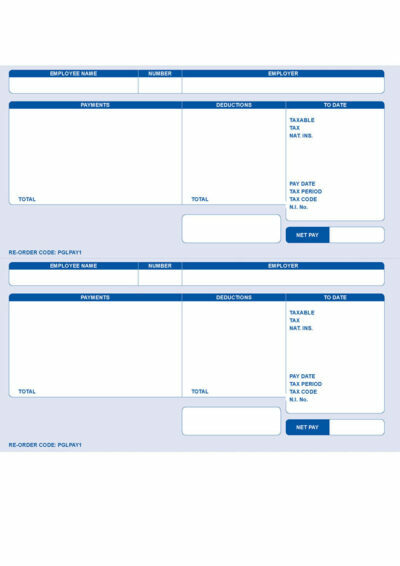 Compatible with standard Sage laser payslips with no address. 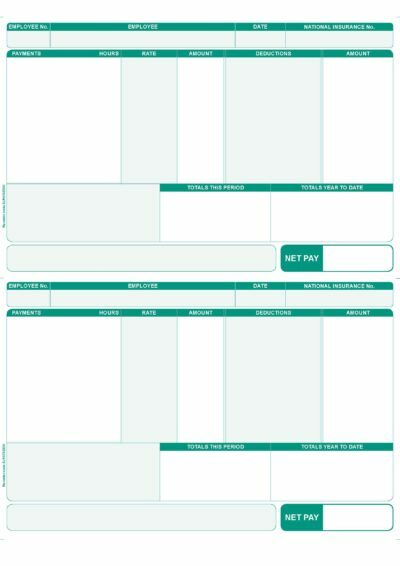 Perforated for easy separation of payslips. 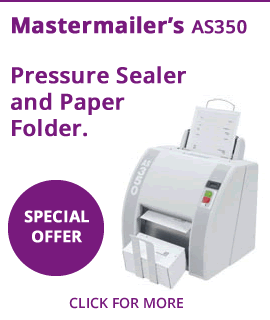 High quality LASER GUARANTEED 90 gsm paper – No paper jams or misfeeds. Compatible with Sage 0680, 0681 & 068125, SGE010, SE95, RS19 and DUKSA011 payslips. 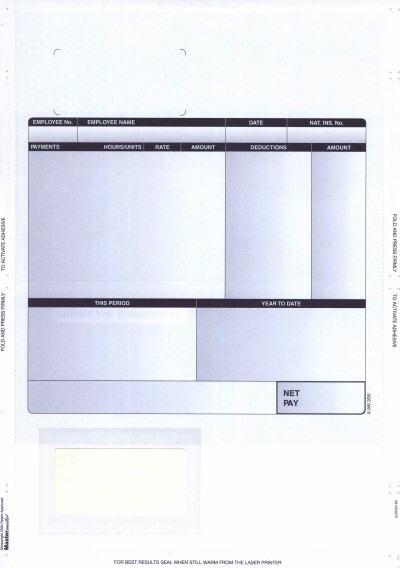 Uses SAGENV1 Payslip Envelope – see our range of Sage envelopes. Guaranteed to work with all SAGE payroll systems . **MULTI-BUY PACKS AVAILABLE** FREE CARRIAGE ON ORDERS OVER £40.00 **. 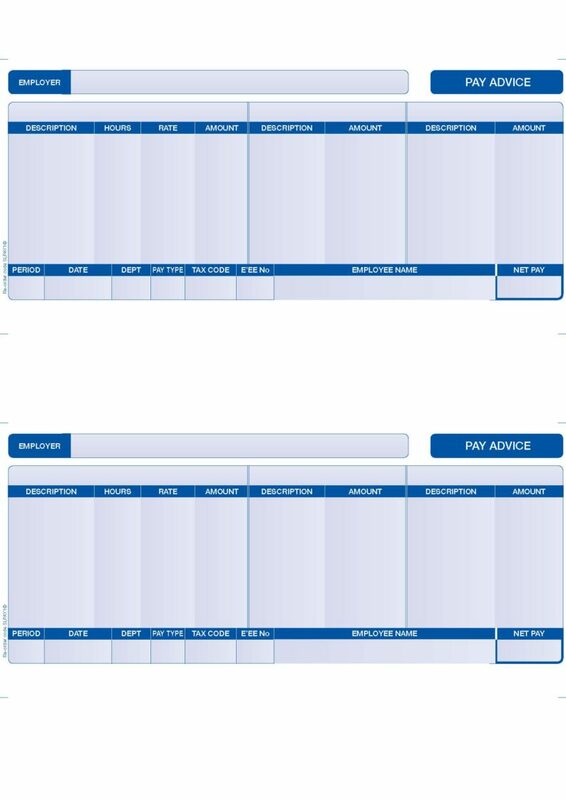 You can be sure that these payslips represent the best value for money in the UK. We are a printing company that takes pride in the quality of its printed material, having had in excess of twenty five years experience within the industry. All of our products are fully guaranteed and these payslips will fit you Sage payroll printouts perfectly. For SAGE PAYSLIP PLUS PAYSLIPS click here. Box of 1000 Compatible Pegasus payslips for laser and inkjet printers. Compatible with Sage 0680, 068125, SLPAY1, SE95, RS19 and DUKSA011 payslips.